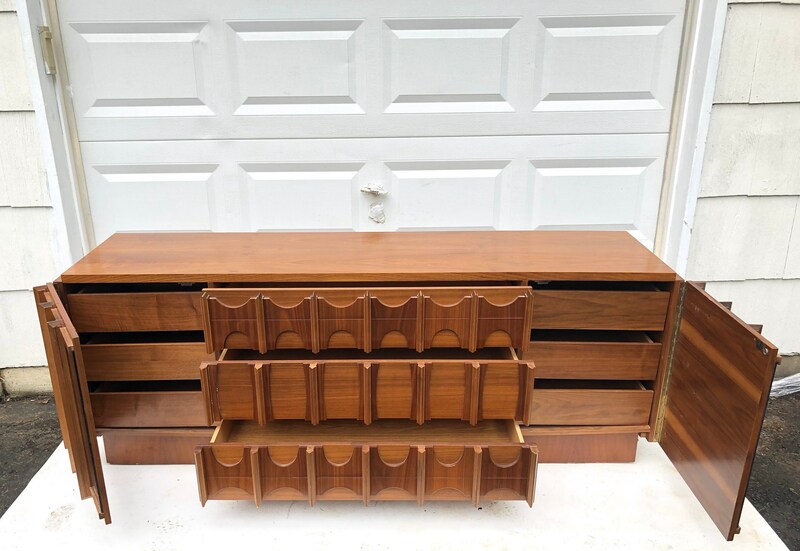 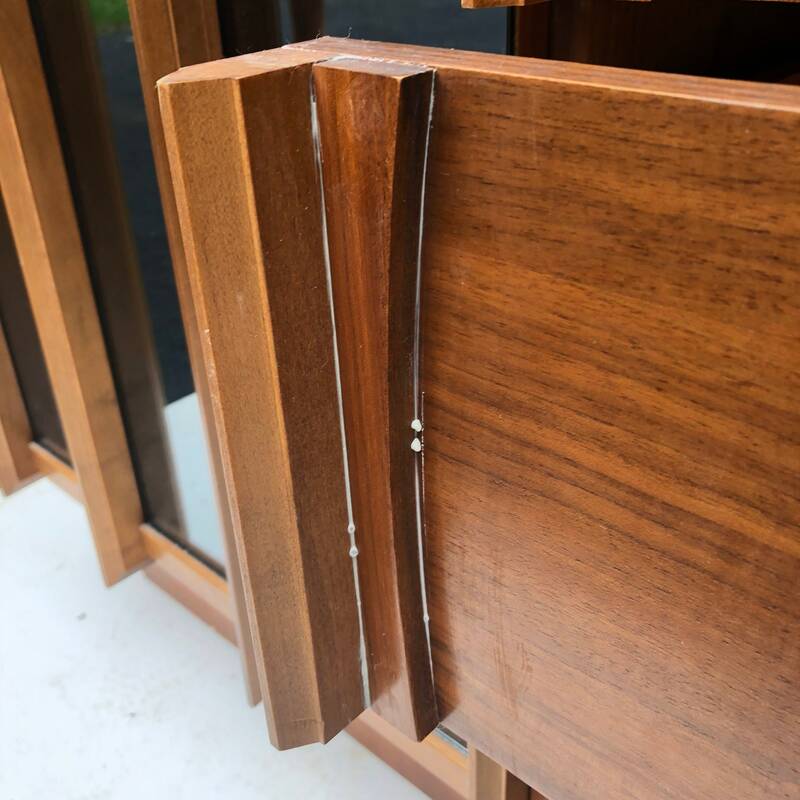 This striking brutalist modern nine drawer dresser features sculpted walnut finish with mirrored trim details. 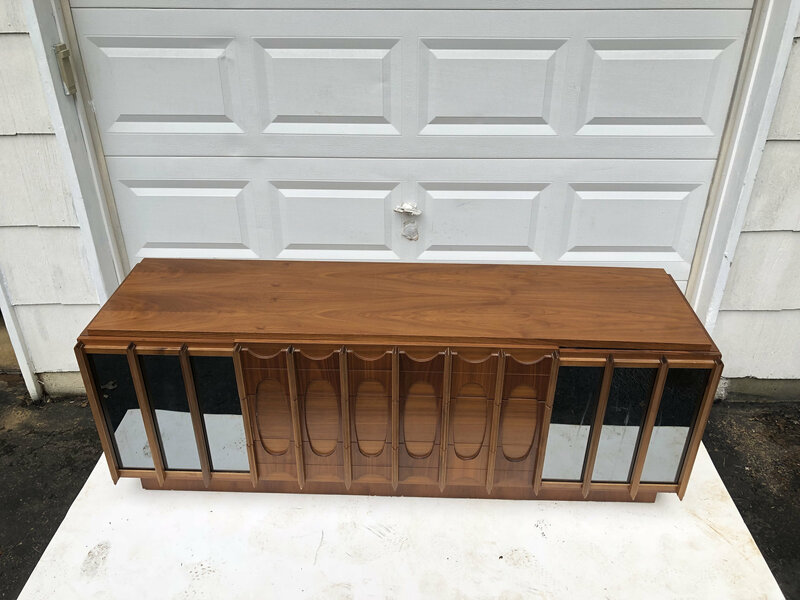 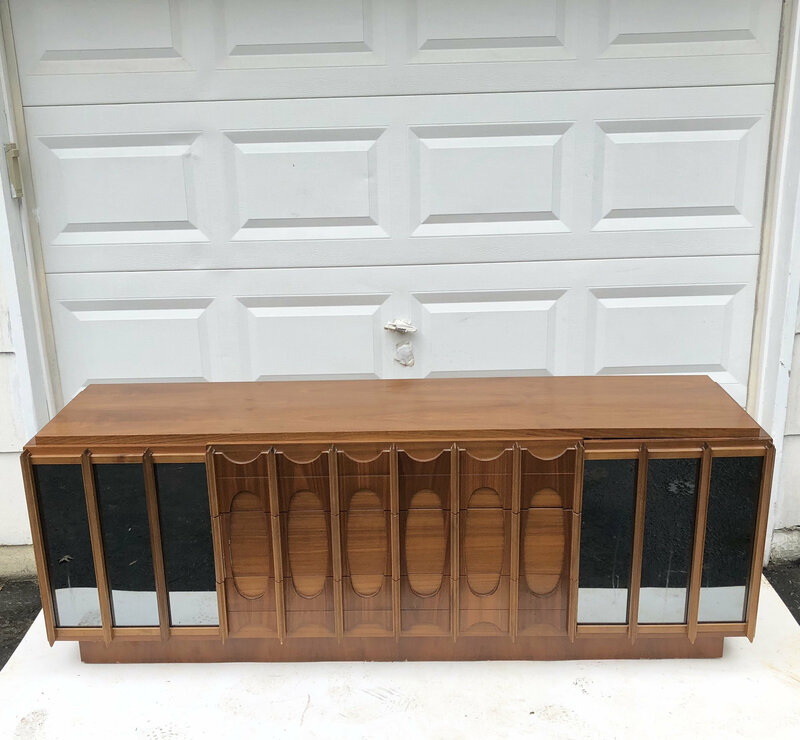 At 80 inches wide this substantial mid-century long low dresser makes a Brasilia style impressive in any bedroom setting. 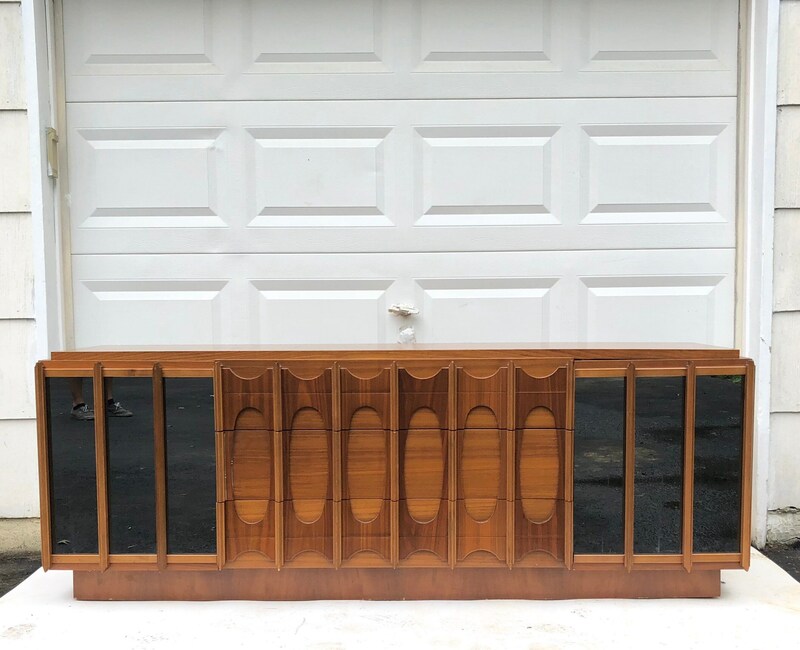 Matching King Size Headboard also available, contact for details. 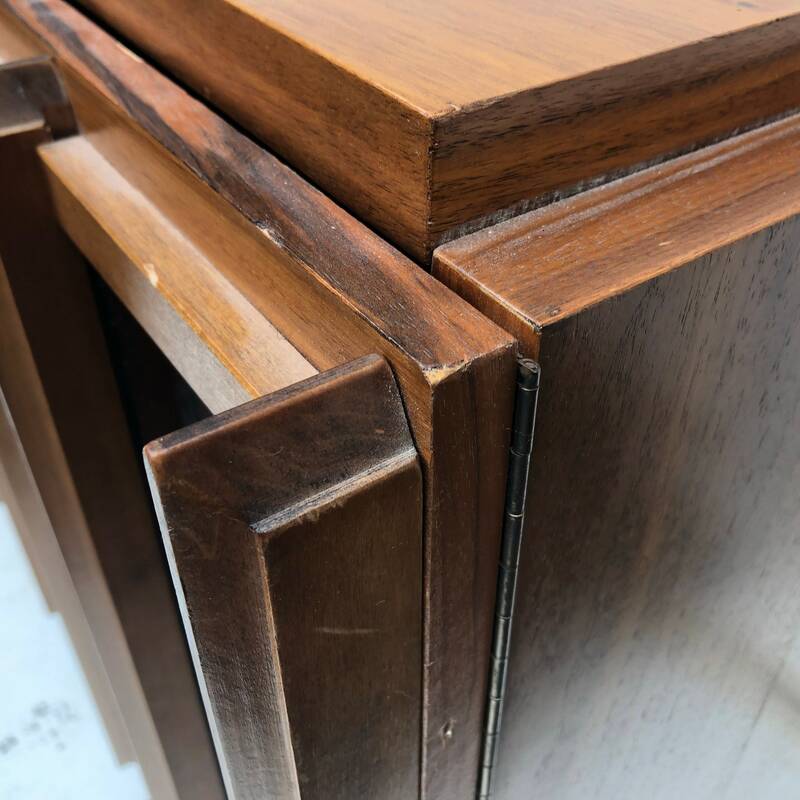 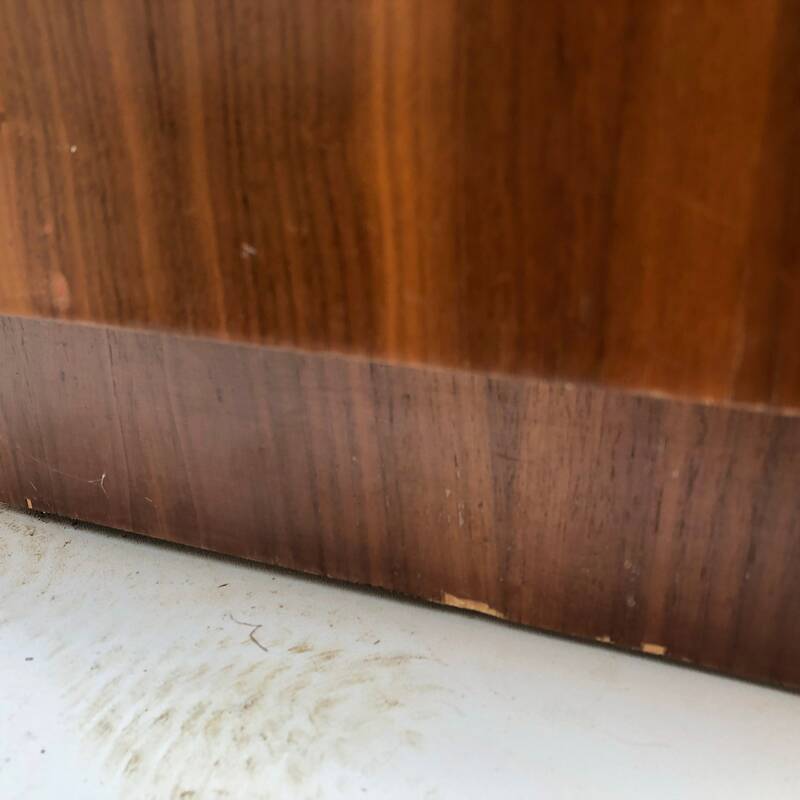 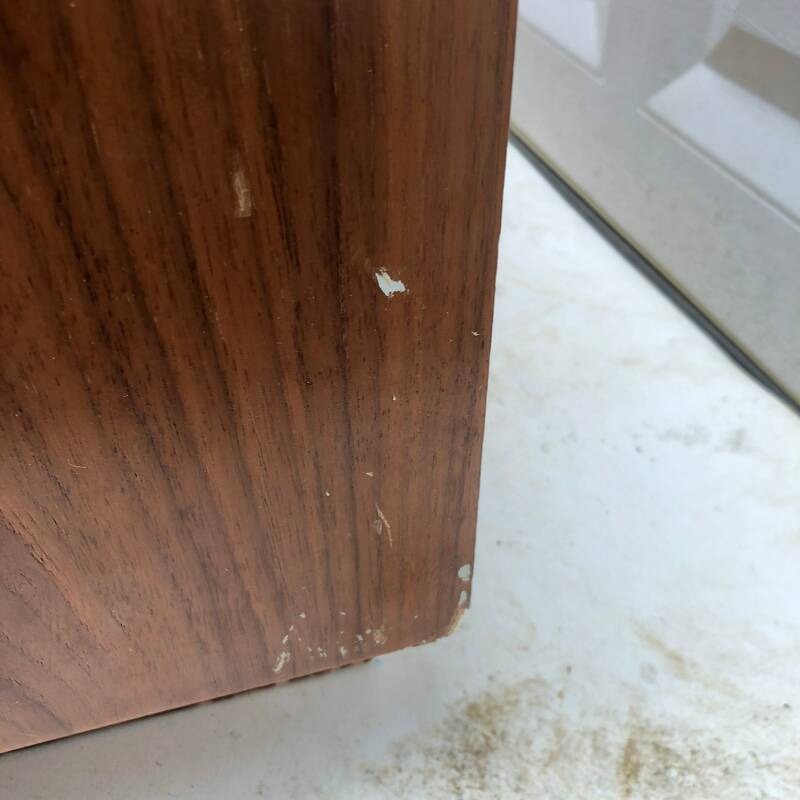 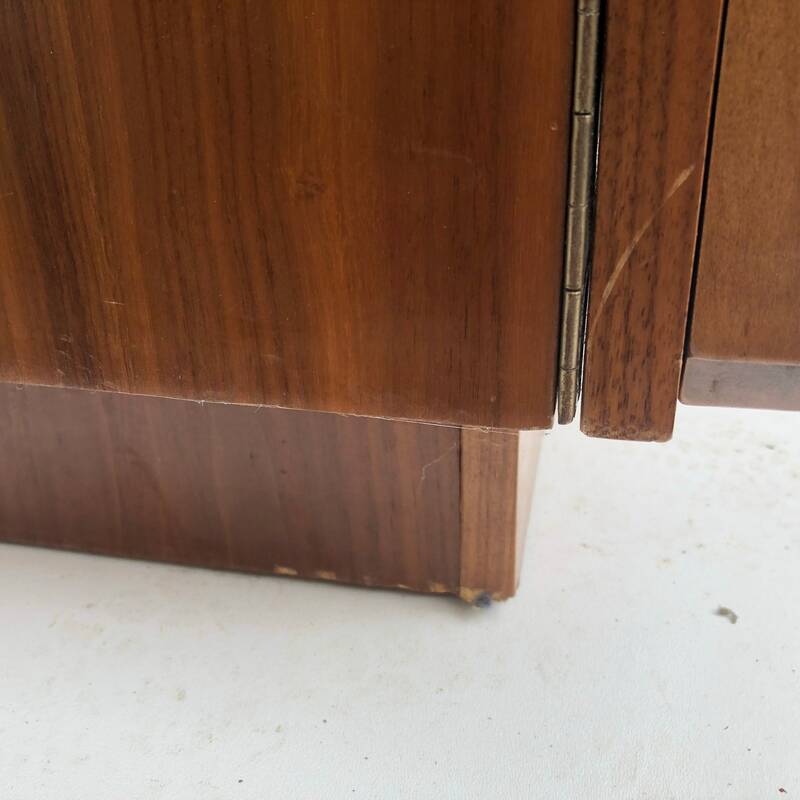 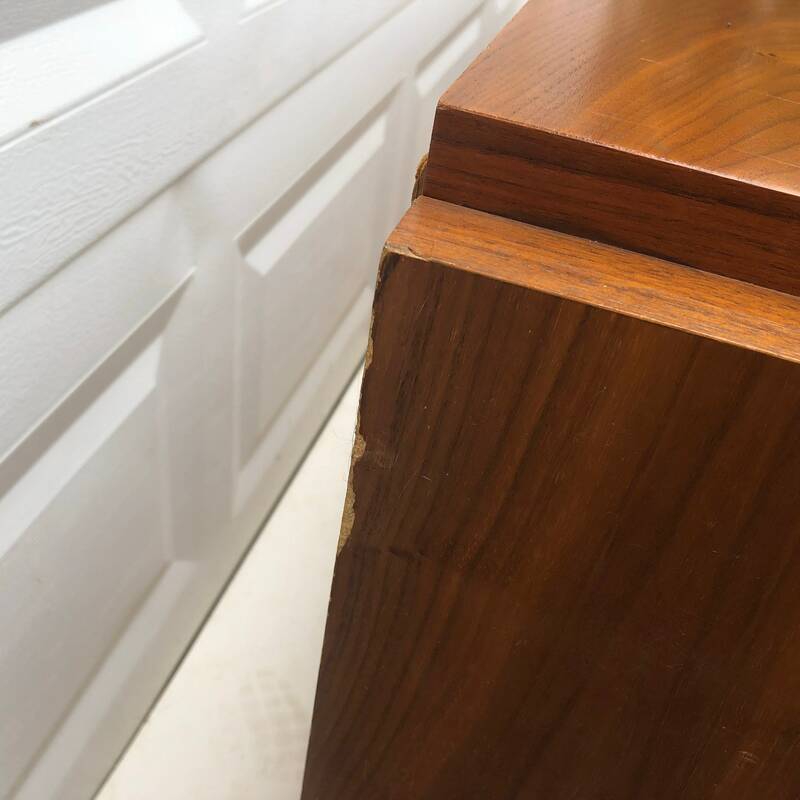 Condition: vintage finish worn in areas, some scuffs/edge wear, veneer chips/damage, previous trim repair, wear on bottom edge, see photos.